I met with a senior Project Manager from a European engineering firm. She saw my sales model and said, “I only have experience with the presentations and post-sale activities, the right side of your Sales Model.” She is managing large projects, and comes aboard after they have been won. Now she doesn’t have enough work and is coming to grips with the source of her problem. The right side of the model is creating interest. That usually includes making the prospect knowledgeable about their options, the benefits of your approach, and making them familiar with cost. Controlling the customer’s concept gives you the best chance of successful completion. The left side is defining the sale and post sale activities. Superficial observers see the revenue coming from these later stages, but without sufficient initiation, there is nothing to shape, manage, and bill. There is also an inevitability to the back end of the sale, where if you don’t screw it up, you will probably complete the work. After all, the customer has already put their reputation on the line, choosing you. 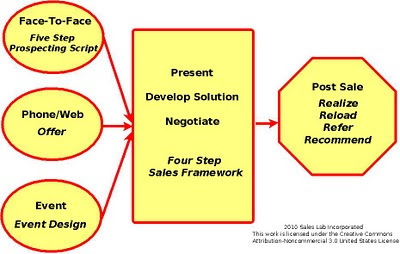 In federal sales, I see an imbalance, most of the effort coming after a customer has identified what they want to buy. Then everybody is fighting to bid it. That means someone else has already created the idea of the project, and how it should be done, and the followers are left with trying to create value by dropping price, or winning with a solution the customer doesn’t know they want. My biggest and most profitable jobs have occurred after I had seeded the initial concept, and created a loyal customer following before the world knew what we were doing. 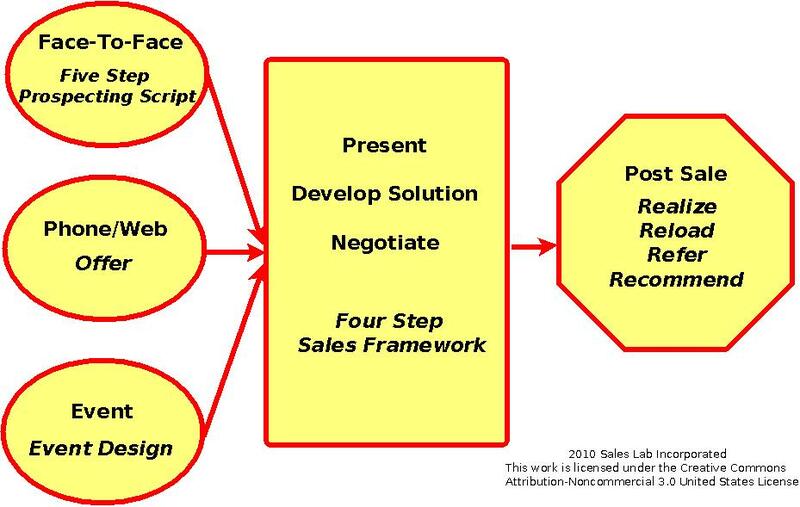 How much of the total sales work and how much of the value would you say comes from the front end of the Sales Model? How many of your team understand that and can make a contribution?